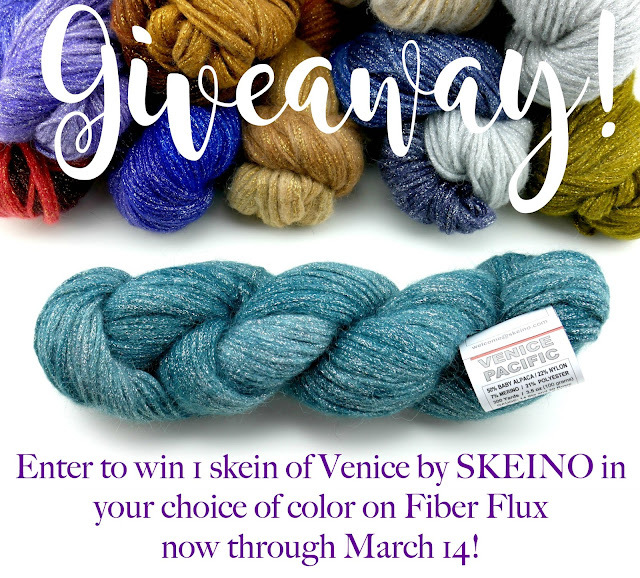 Fiber Flux: Enter to win a skein of Venice yarn from SKEINO! 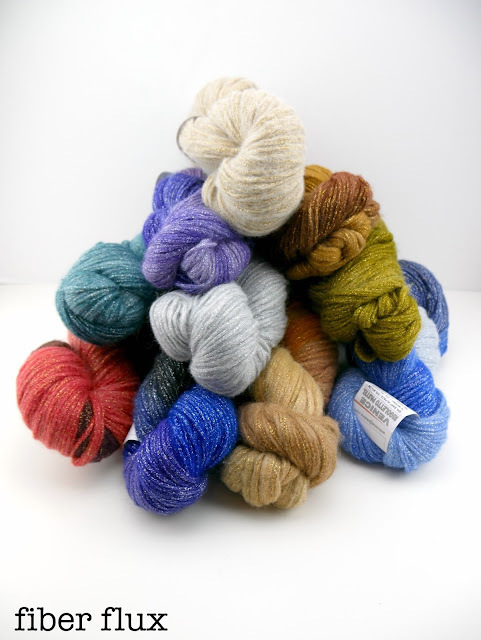 Enter to win a skein of Venice yarn from SKEINO! Happy Monday lovelies! I have a fun yarn giveaway for you to kick off the week...enter to win a skein of beautiful Venice yarn from SKEINO now through March 14! A special thanks to the SKEINO yarn company for sponsoring this giveaway. Here it is close up, isn't it pretty? Enter the giveaway using the Rafflecopter below, this giveaway is open to US residents only and ends March 14. Now go, go, go and enter! Can't wait? Need the yarn now? Beautiful yarn. I'm always open to trying out something new. The pacific yarn is so pretty! I may have to pick some of this yarn up soon! I would love to make a cozy shawl out of this yarn. I would love to try out Venice by Skeino . I think I'd make my self a fancy scarf with it. My favorite color is Pacific. My favorite colors are purples, pinks, greens, you know cool or bright colors. I would knit socks, hats, or shawls. Maybe a scarf. Who knows what the yarn wants to be until you hold it in your hands. This yarn looks absolutely gorgeous. Thanks for the opportunity to win. I would make a beautiful scarf with the Petunia yarn! I love the Pacific one, I've always been a sucker for teals. I also love the Fire, that would make a beautiful scarf. My favorite color to crochet with would have to be anything blue. I like azure, turquoise, navy, too many to chose from. They do have some beautiful yarn. Just gorgeous. Thanks for a great giveaway. Beautiful Yarn! Thanks for the giveaway. I love all the colors... but I am leaning toward the Don Giovanni. I think it would make a wonderful scarf. Gosh that yarn looks gorgeous. I'm a sucker for sparkle. This is beautiful. Thank you for running these give-aways! My favorite color yarn is anything purple. I want to make myself a sweater of some sort. This yarn is absolutely gorgeous! Choosing a color would be hard, but since red is my favorite color, I probably would go in that direction. Well, I found that I like more than one single color, for example: Burgundy, Fern, Moss, Pacific and Petunia. For me, a Gala scarf in Desert! I love the fire, cream and snow the best! I love all the shades of blues and greens. I would love to make a couple of shawls. There are so many beautiful colors. Very hard to pick just one favorite. Thanks for the chance to win. A lacy shawl in the silver tones would complement many an outfit. A shawl would be very pretty in this yarn. Selecting the pattern would be a challege since their are so many nice ones. Don Gilvanni Pastel is a color I like or the Cream ! A Shawl would be beautiful.. I love the burgundy. I'm not sure what I would make with it. I think I would need to pet it for a bit to see what it needs to become. I like the petunia! I think I would make a scarf or a shawl. I'm spoiling myself with shawls. Love the petunia color. Thanks for the gray giveaway. What lovely yarn! I'm in love with The color Pacific! One of my favorite shades! I love the pacific color and would absolutely make a scarf...or maybe fingerless mitts!! Thanks for the chance at some super yarn! Beautiful colors! I'd love to win one. I love Skeino, & giveaways! Thank you! I love Skeino & giveaways! I really don't like sparkle yarn but I have friends in my guild that would love to have it. 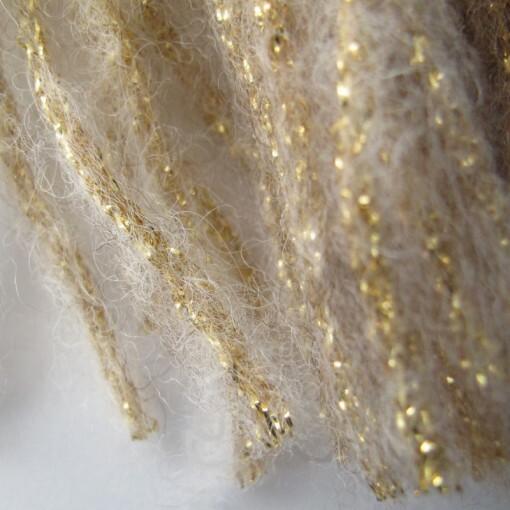 I think I'd choose snow and a simple scarf pattern so the focus is on the yarn and sparkle. I love the blue! I'd make a cowl or hat! I love blues and greens. If I won it, I would tell myself I'm making something for me, when I know that my child will talk me into giving it to her. I would choose the skein with all of the blue shades. So pretty. I would probably make a scarf with it. I would love to make some scarves or shawls with this yarn. OHHHHH so special looking. purple for me! So pretty! Luv the color mixes! beautiful yarn, all the colors are lovely! Oooo. The Snow, Pacifica, Rigollto, and the Don Giovanni Pastel were very pretty. Too many good choices! Your video said made in Italy. These skeins are, but another pretty yarn was made in Germany. Is that normal for a company to use so many outlets? It is a toss up between Pacific and Petunia. I would probably knit a cowl with this yarn. I love the colors that have the silver running through the yarn. This is great looking yarn!